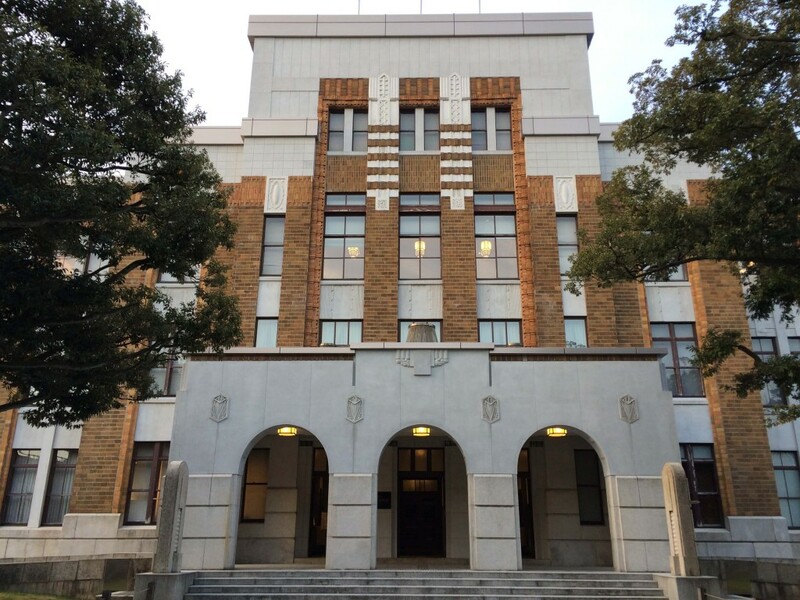 As soon as you arrive at Kanazawa train station, the “Motenashi Dome” (Welcome Dome) made up of 3,019 glass panels is likely to catch your eye. 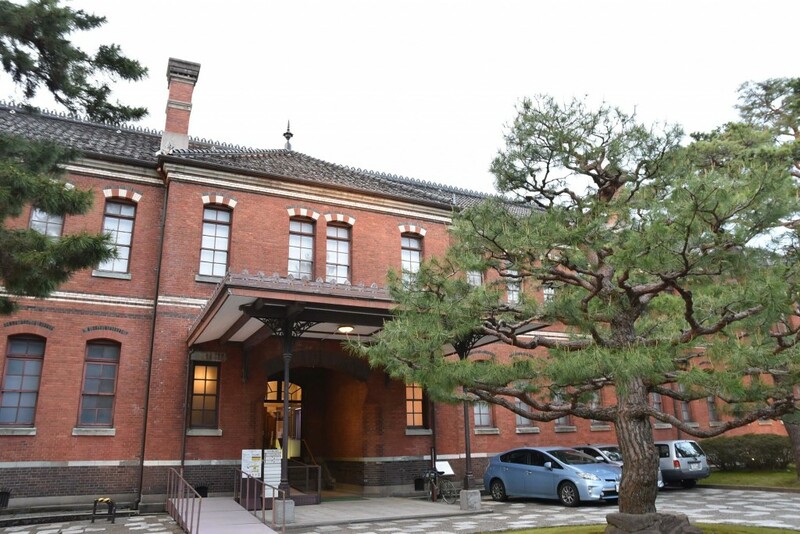 This train station is thought to be one of the most beautiful train stations in the world, and it is designed by Ryuzo Shiroe. 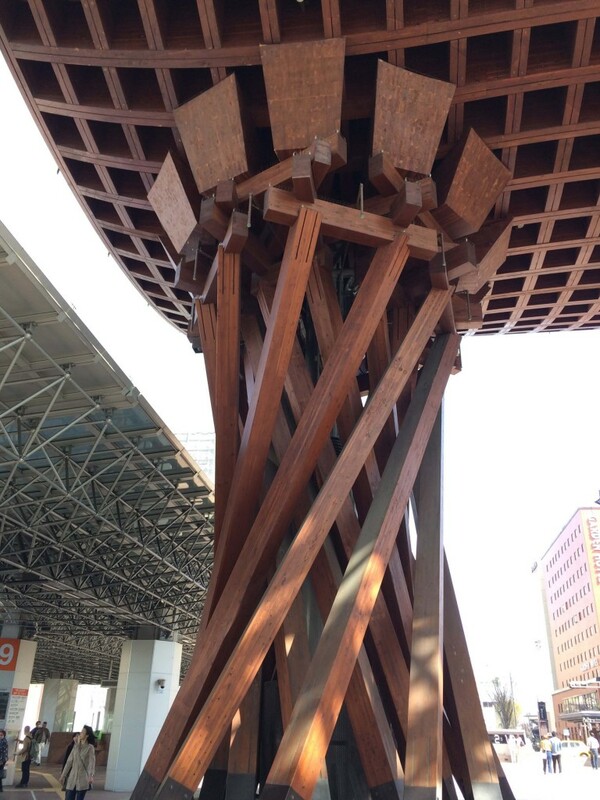 And when you walk out of the conservatory-like space through the eastern part of the station, you would encounter the stunning and gigantic wooden structure called Tsuzumimon (drum gate). 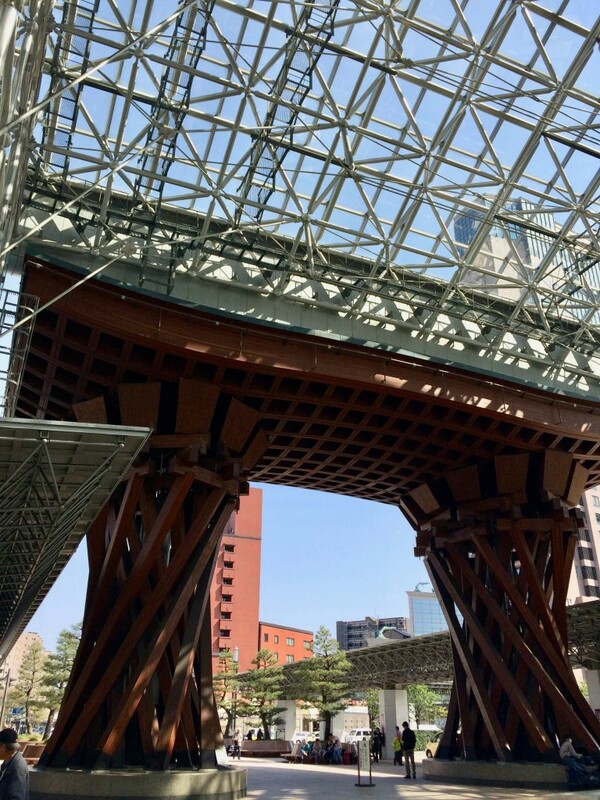 This 13.7 meter-high gate is supported by two twisted pillars, and the design resembles the tsuzumi, the drums featured in Noh theatre and Kaga Hosho (the style of Noh traditionally performed in Ishikawa prefecture) performances. 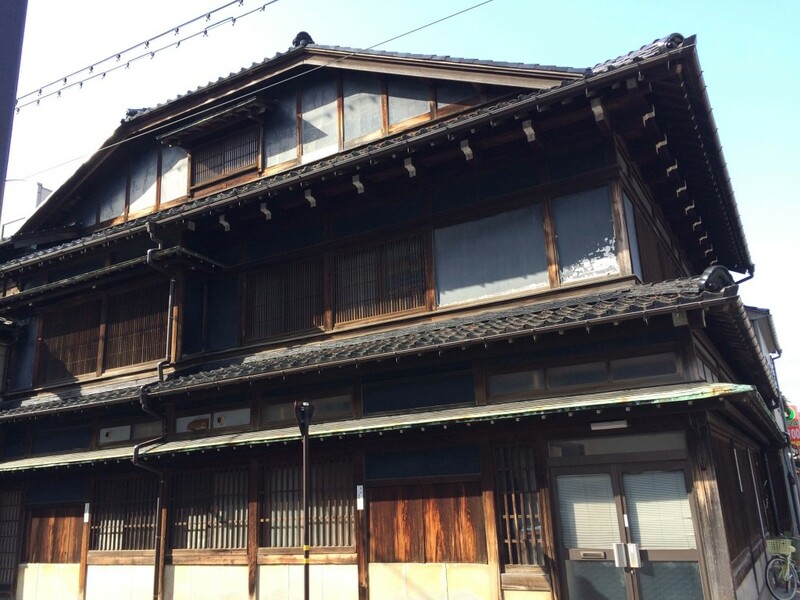 Walking around Kanazawa, it is hard not to notice the mix of old and new architecture, and since it was spared from the air raids during the war, I think the architecture here is more varied and interesting than many other cities in Japan. 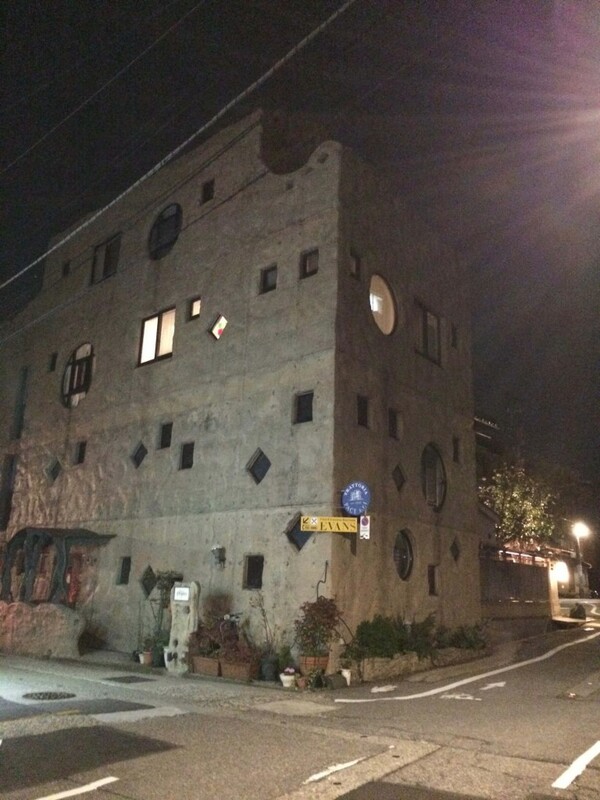 Although I did not have time to visit many sights, I did enjoy wandering around the city while stumbling upon some interesting buildings. 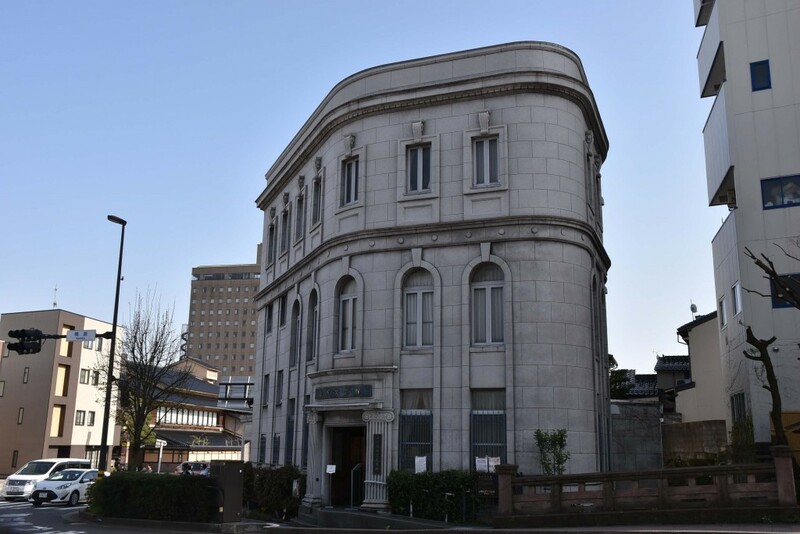 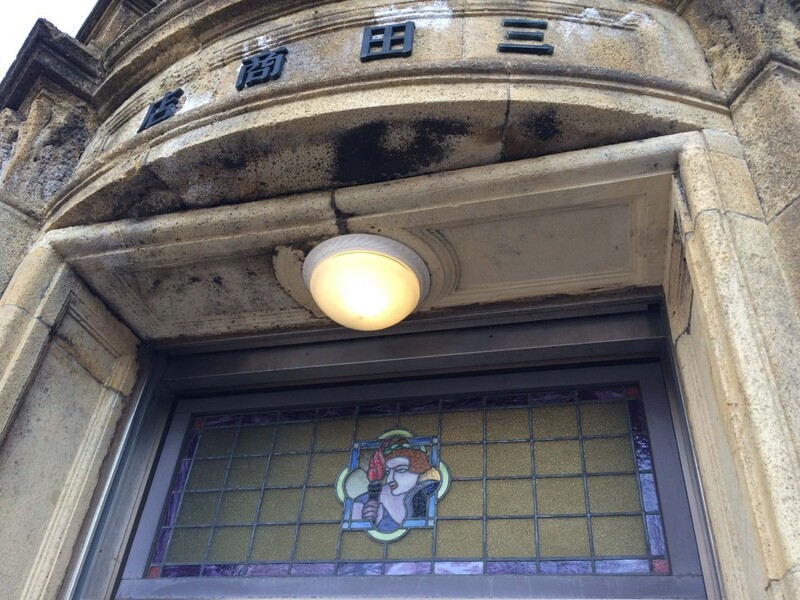 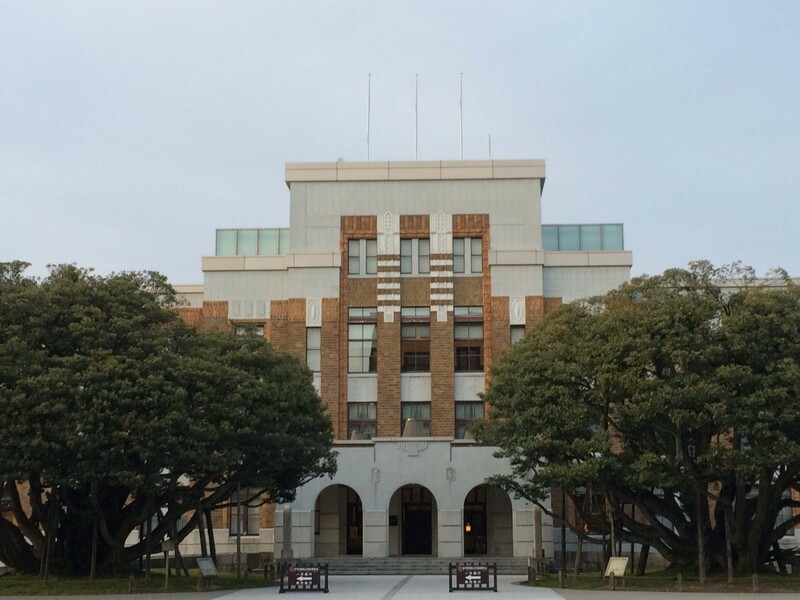 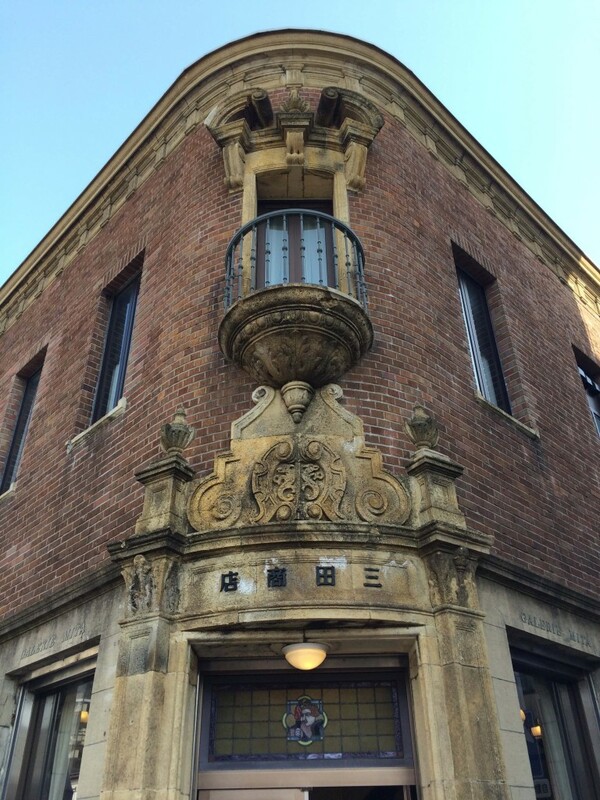 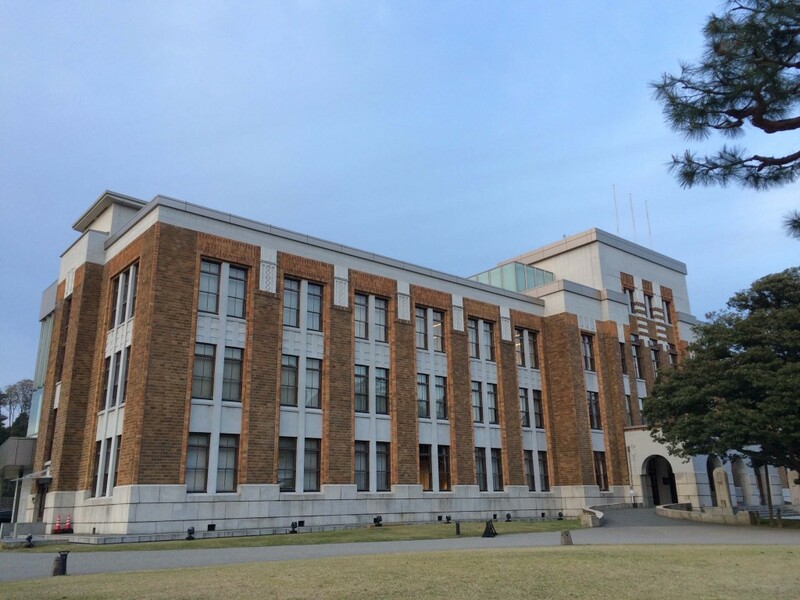 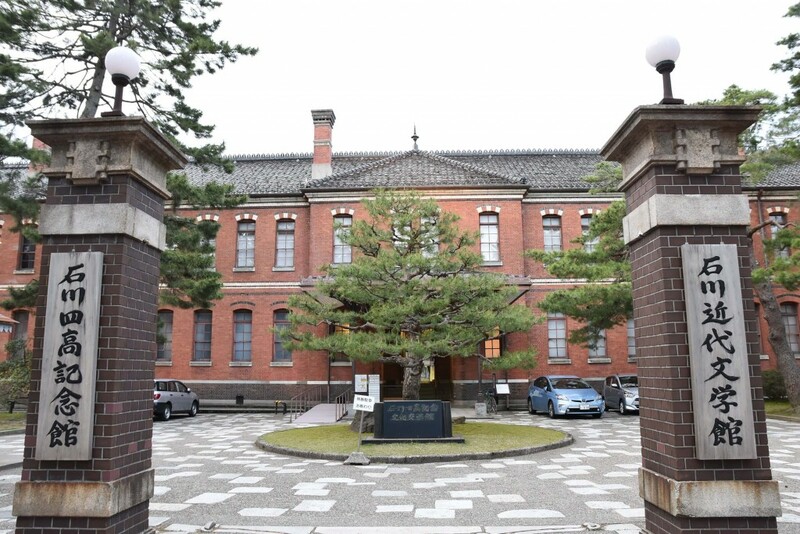 There is a conspicuous Western style red brick building at the bottom of the castle that really intrigued me, and it is The Shiinoki Cultural Complex, a government building built in 1924. 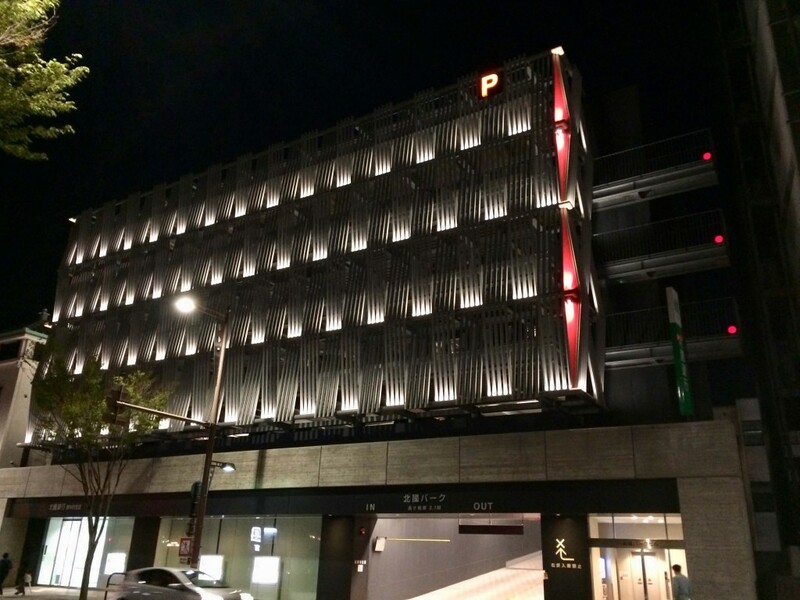 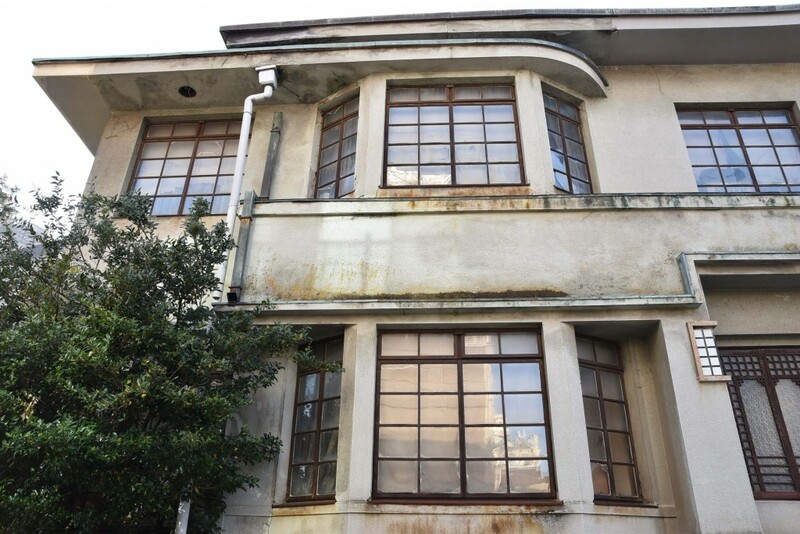 While the front of the building has kept its original facade, the back of the building has a modern glassed facade. 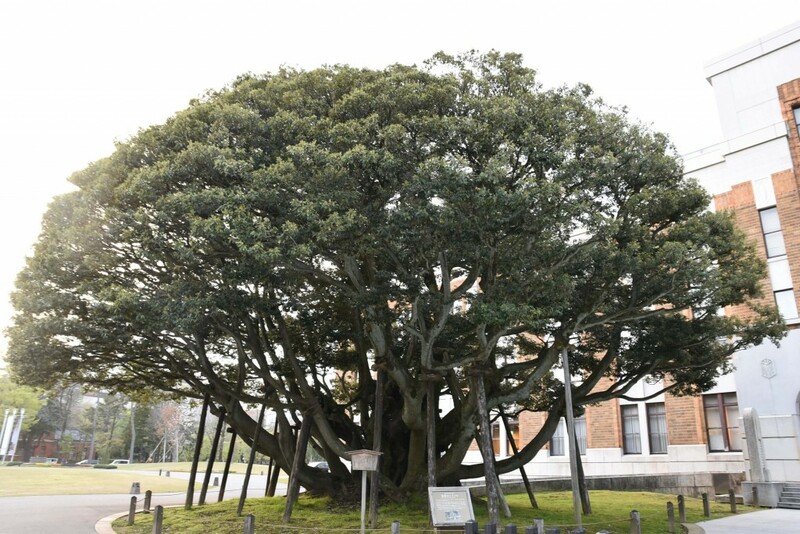 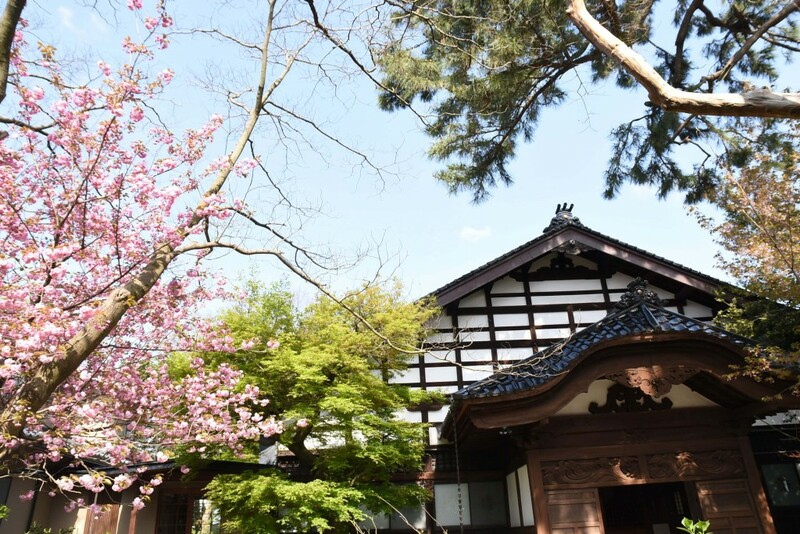 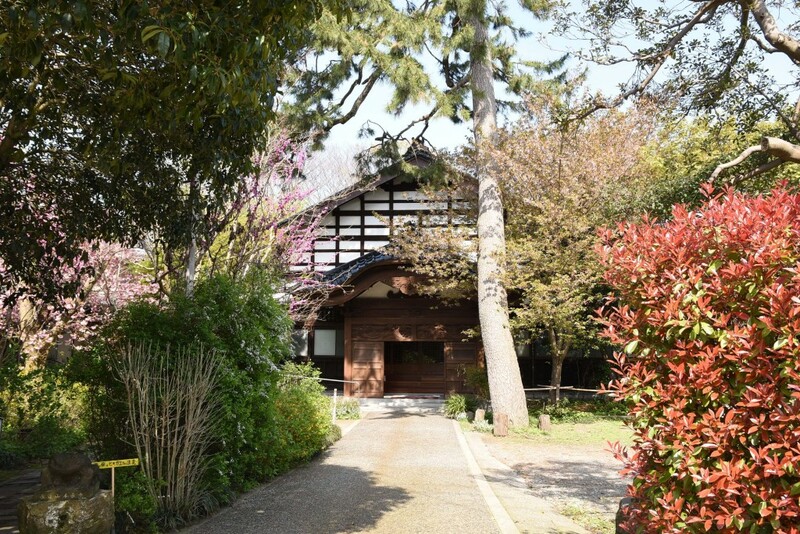 There are two amazing-looking 300 year old Chinquapin trees standing symmetrically in front of the main entrance and they are designated as Japan’s National Natural Monuments. 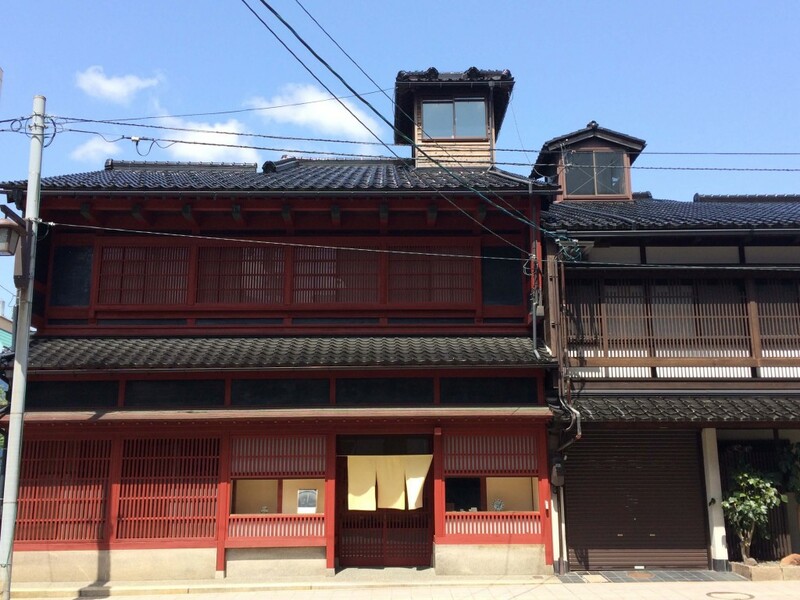 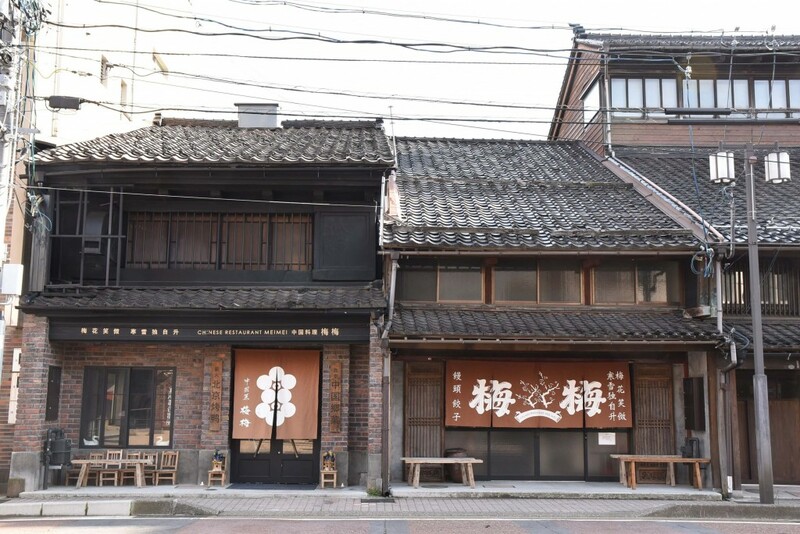 The Owari-cho area not far from the Omi-cho Market used to be a bustling merchant district during the Edo period, and so you can find many fascinating Edo period architecture here. 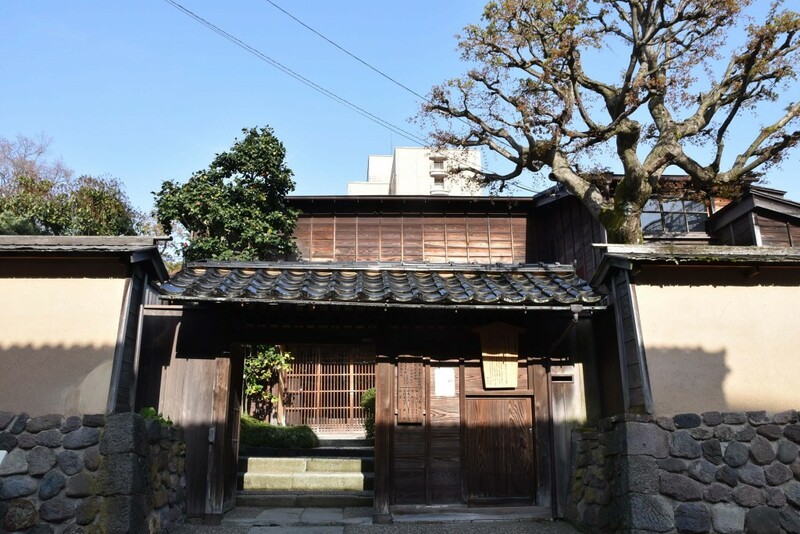 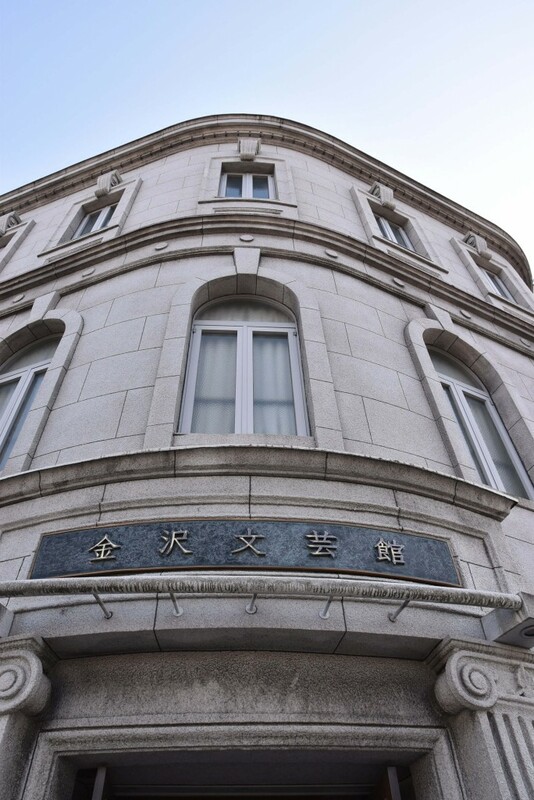 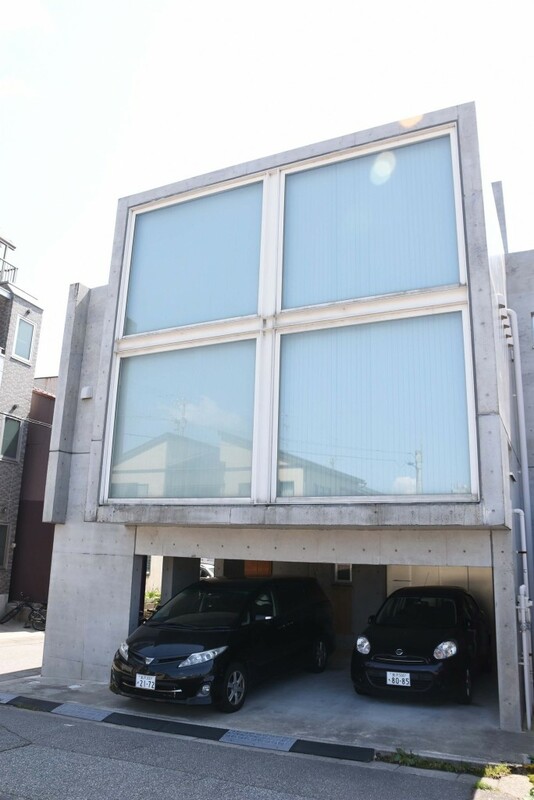 One of them is Gallery Mita, an art gallery housed in a Western-style building constructed in 1930, which has been designated as a Registered Tangible Cultural Property because of its rarity. 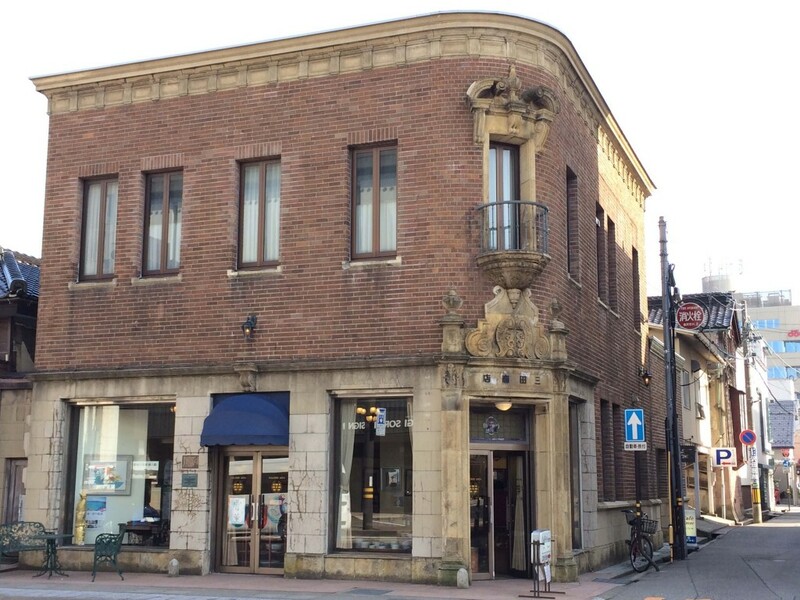 The gallery sells mainly ceramics dishes, and it has a cafe next door. 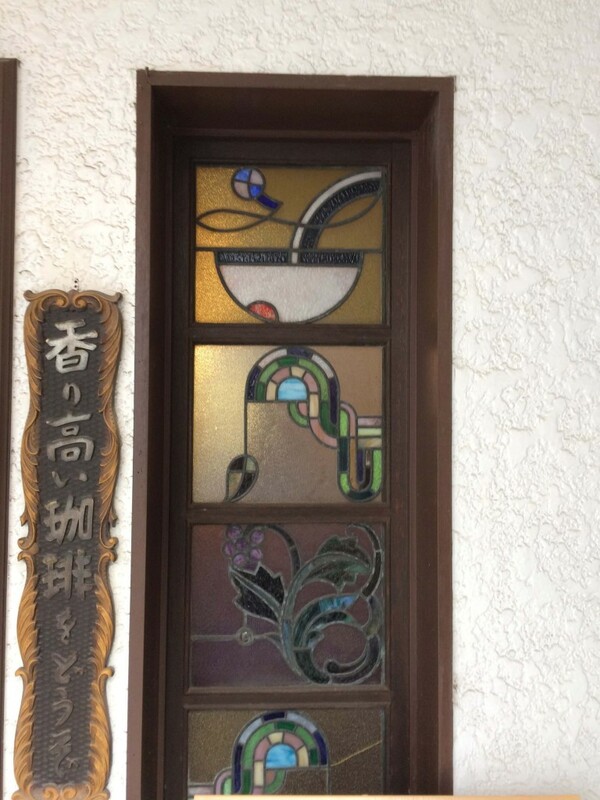 I especially love the stained glass designs here. 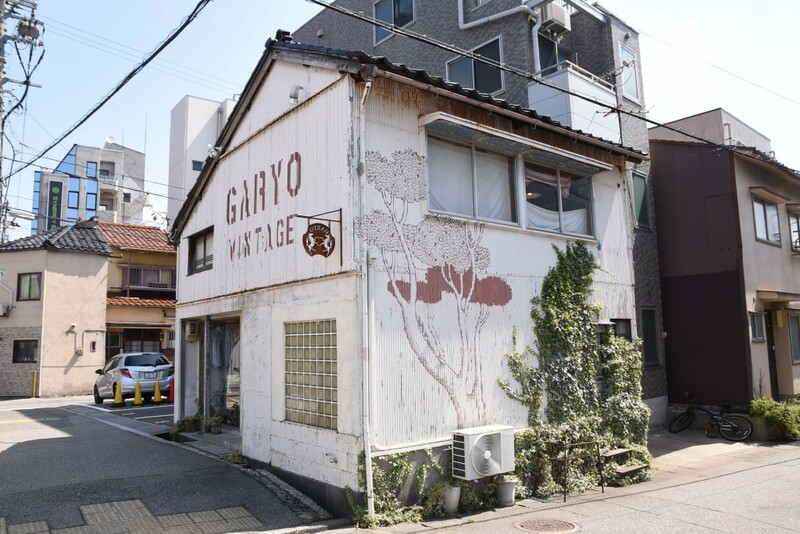 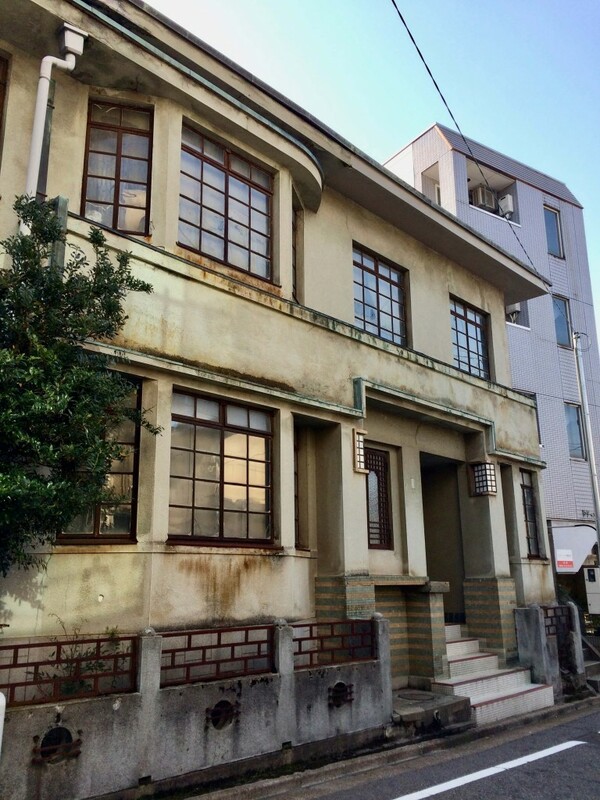 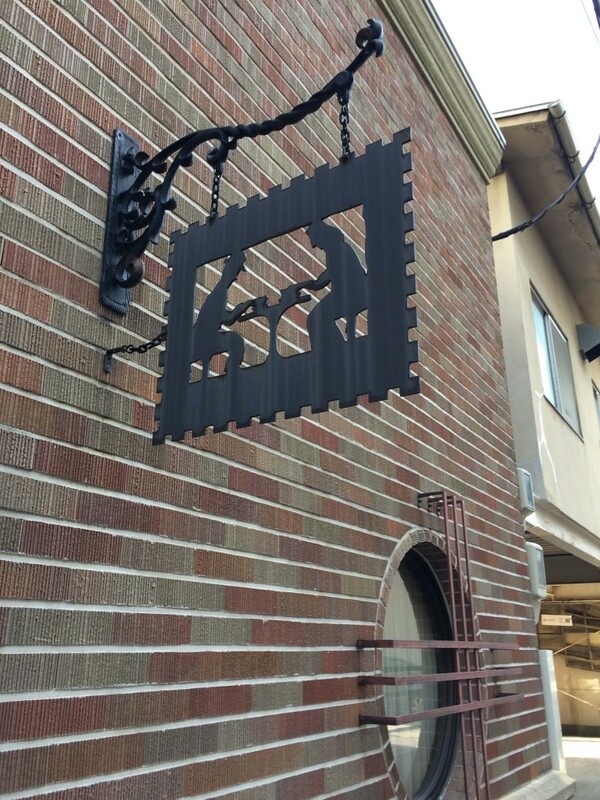 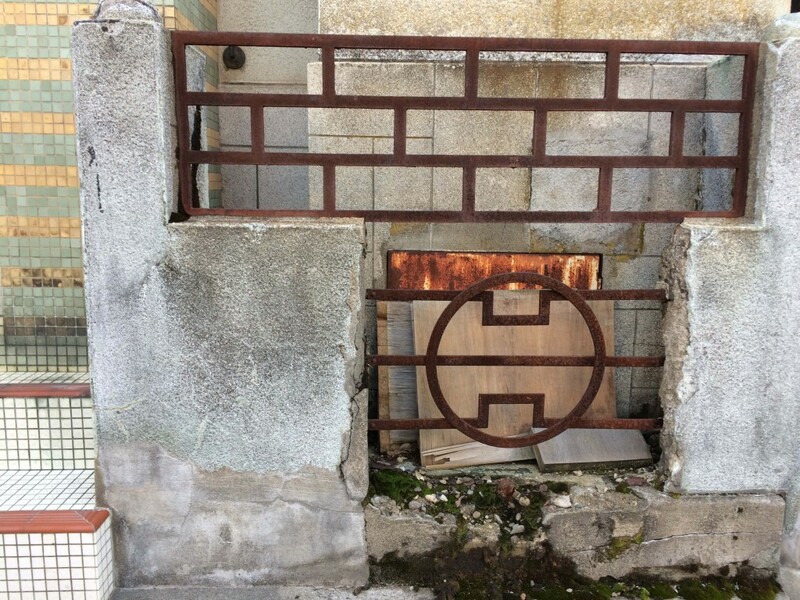 When I took a route away from the main street, I came across a derelict building/house in an alley that has many art deco elements and seems to be from that period. 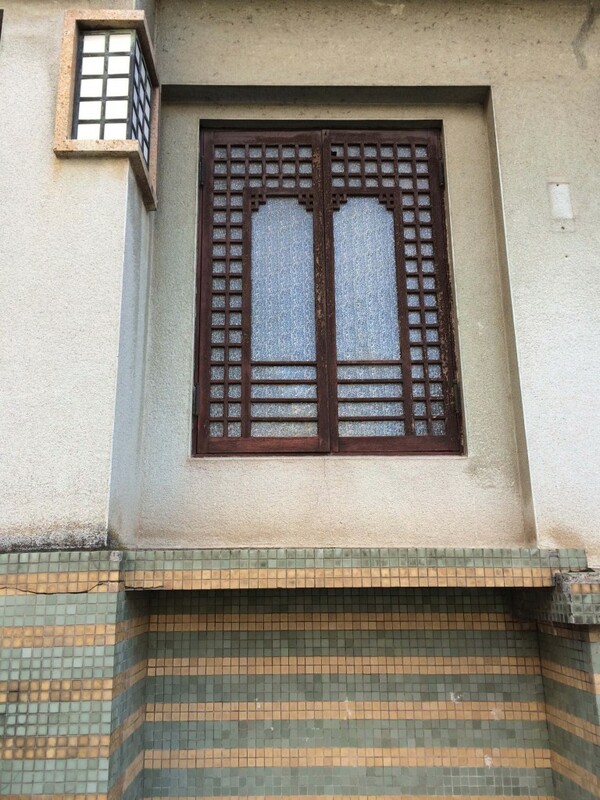 Even though the house has fallen into disrepair, you can still see the architectural details and appreciate the fine design elements like the railings and tiles. 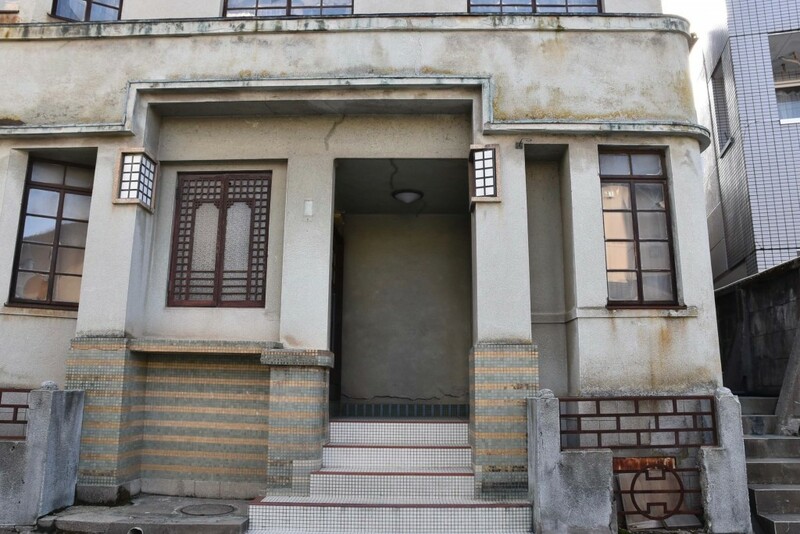 It is a shame to see that it has been abandoned. 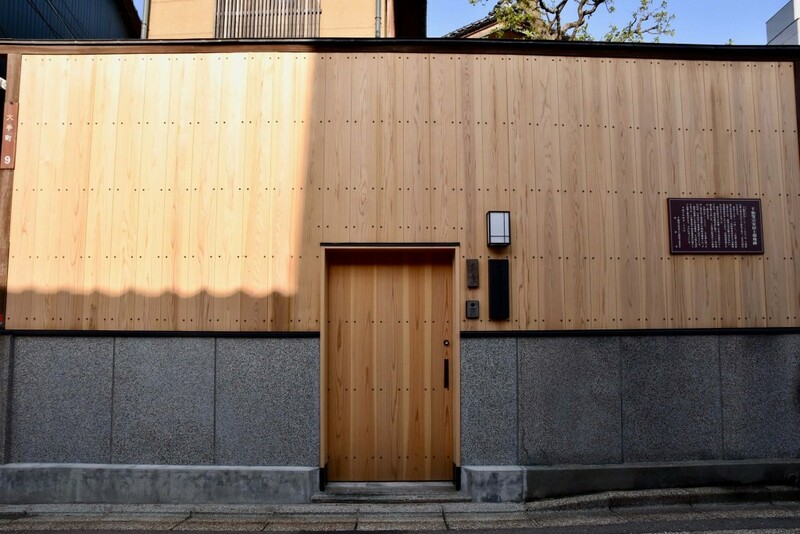 As for contemporary architecture, The 21st Century Museum of Contemporary Art and D. T. Suzuki Museum (see my other posts) are good examples, but there is also the Kanazawa Umimirai Library designed by Kazumi Kudo and Hiroshi Horiba in 2011, which I didn't get to visit.